At Waterloo Heights Dental Oral wellness, we’re proud to be among progressive dental and medical professionals joining forces and leading the way toward a paradigm shift in dentistry – moving away from the traditional “drill ‘n’ fill” model to form a multi-disciplinary, preventive biological model that considers the mouth as an integrated part of the body. We believe the best dental work is no dental work. Getting you healthy is far more important than filling a cavity or placing a crown because if we get you healthy first, we can eliminate the need for dental work in the future. Restoring your teeth is important, of course, to ensure full function and aesthetics of your smile, but more pressing is the bacteria and inflammation in your mouth that can cause serious systemic health problems down the road. New research finds that oral pathogens or “bad bacteria” that cause tooth decay and gum disease can also trigger heart attacks and strokes, and many other serious systemic diseases. These pathogens have a direct pathway through the gums, into the bloodstream, and into your main lifeline – the heart. If you’ve ever had or been told you need to have a root canal, gum disease treatment, or have a high number of cavities, you could be at risk. If we can prevent infection and disease in the mouth, we can effectively help prevent infection and disease elsewhere in the body. 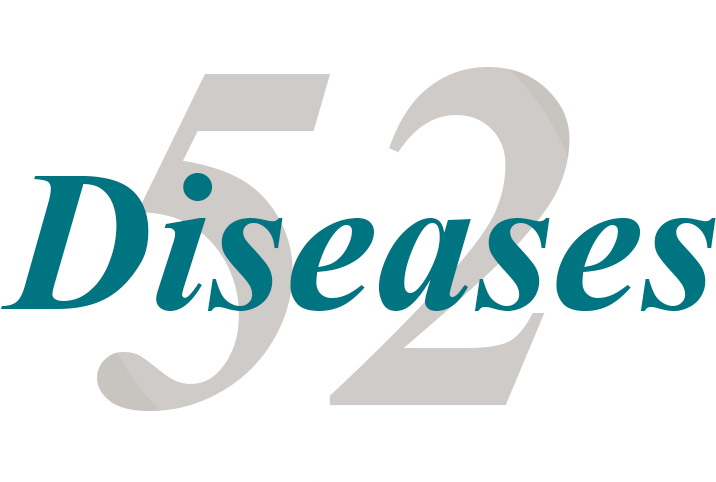 The bacteria associated with gum disease have been linked to 52 other serious systemic diseases including heart disease and stroke. At Waterloo HeightsDental, we provide bacterial screenings for all patients. Bacterial slide screenings tell us whether or not you have active pathogens, and allow you to see the little bugs for yourself on the microscope slide. If we find pathogens, we will want to do a little more research to tell us which types and the levels of pathogens we are dealing with. We will take saliva and biofilm samples and send them off to the wonderful folks at OraVital for analysis. Your results will show which types of bacteria you have and whether they are at a level we should be concerned with, so we can come up with an oral disinfection treatment plan to get your bacterial load back to a healthy level. We perform oral disinfection that includes laser cleaning and non-surgical periodontal therapy. We may prescribe an oral antibiotic to kill the infection and CariFree® products to help balance the pH of your mouth to get bacteria and acid under control for a healthier environment in the mouth and body. Our goal is to help you get your oral bacterial load at a healthy level so we can keep your mouth, your heart, and the rest of your body as healthy as possible for a lifetime of health, wellness, and smiles. Have you ever heard the saying, “You are what you eat”? Well, it’s true. We believe this is the biggest downfall of western medicine – the focus on treating symptoms with pharmaceuticals, rather than trying to change the body’s chemistry through the food you eat. The typical American diet is high in unhealthy fats, refined sugars, processed and genetically modified foods that increase your risk for disease and cause excessive inflammation. By getting to know you on a personal level, we can identify risk factors that impact your oral and overall health and determine how to lower these risk factors by making dietary, lifestyle and healthcare changes.Have you ever heard the saying, “You are what you eat”? Well, it’s true. We believe this is the biggest downfall of western medicine – the focus on treating symptoms with pharmaceuticals, rather than trying to change the body’s chemistry through the food you eat. One of the most important changes you can make is minimizing or eliminating sugar from your diet. Chronic inflammation is one of the primary causes or oral and systemic diseases, and the primary cause of chronic inflammation is excessive sugar intake. Eating a healthy, balanced, anti-inflammatory diet full of fresh fruits, vegetables, leafy greens, seeds, and nuts is one of the best gifts you can give yourself in the pursuit of health and happiness. At Waterloo HeightsDental, we are happy to provide nutritional counseling to help you prevent disease, improve your oral and overall health, and increase your quality and longevity of life. It may not seem that significant to you now, but your saliva is actually one of the most important factors that determine the health of your mouth. A healthy mouth needs a lot of saliva to break down the food particles and reduce the acidity that causes disease and decay. Some folks are just prone to having more or less saliva, but it also depends on your level of hydration and your diet. Many medications can cause dry mouth and a lack of saliva that can cause a lot of oral health problems, so you should tell Dr. Shih if you are taking any medications that might affect your oral and overall health. At Waterloo Heights Dental, we provide a saliva test to determine if you have a healthy saliva level, or if we need to provide a product or treatment to help increase saliva production and get your mouth back to a healthy state. Sleep apnea, like many of the ailments we treat at Waterloo HeightsDental, is a medical problem with a dental solution. Sleep apnea causes low blood oxygen levels and chronic fatigue that, over time, causes a slow deterioration of the immune system. Left untreated, sleep apnea can significantly increase your risk for serious systemic health problems like heart attack and stroke. In our mission for dentistry for complete health, we can help diagnose and treat sleep apnea with a simple at-home test and an affordable, non-invasive solution. We want to help you sleep better tonight to ensure a happier, healthier tomorrow. If you’re ready to take control of your oral health and invest in the future of your overall health and wellness, you’ve come to the right place. Contact your West Salem dentist, Dr. Priscilla Shih at Waterloo Heights today.